Dumann Design & Build provides the full range of services for your commercial development needs by bringing them to you in-house and not outsourcing them to other firms. We ensure that clients are receiving the highest quality service and are provided with superior value to their construction needs. In addition to our competitive array of services, Dumann employs teams dedicated to electrical, plumbing, ventilation, demolition, and other specialized building services, regardless of size or scope. Retail: Dumann designs and completes every project within projected timelines and on budget. We help to create and build your company’s brand through successfully promoting you through thoughtful design and a high quality of construction. Our commercial undertakings have built some of the most exciting retail centers, many of them as models for expanded business locations. Office: Our design and build team understands the importance of attractive and functional workplaces that communicate your company’s culture and values to employees, customers and guests. In working closely with clients from the initial planning stages to construction and close-out, we make certain that the office environments built by Dumann Design & Build produce a productive, positive and creative environment for your business. Building Construction: Dumann has the ability to take on any project that your business may require; including retrofits, renovations and new construction. We offer the benefit of providing you a full-service partnership with unparalleled in-house services and capabilities. 7000 square foot office build-out. Open floor plan with large open work area. 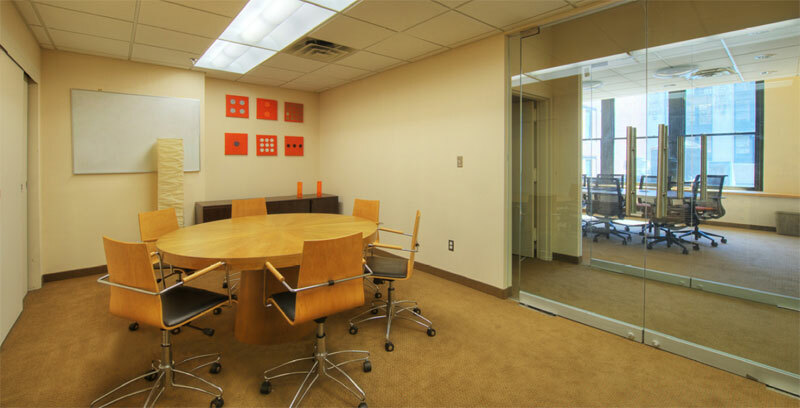 Premium conference rooms with tempered glass partitions, audio visual system and acoustial ceilings. Executive offices with hardwood floors. 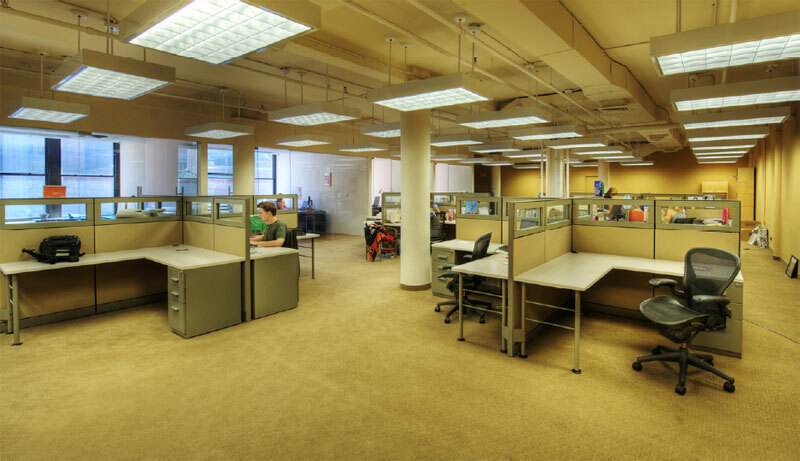 Commercial lighting and carpet throughout.